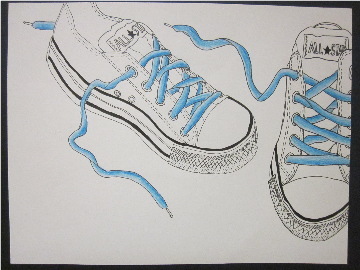 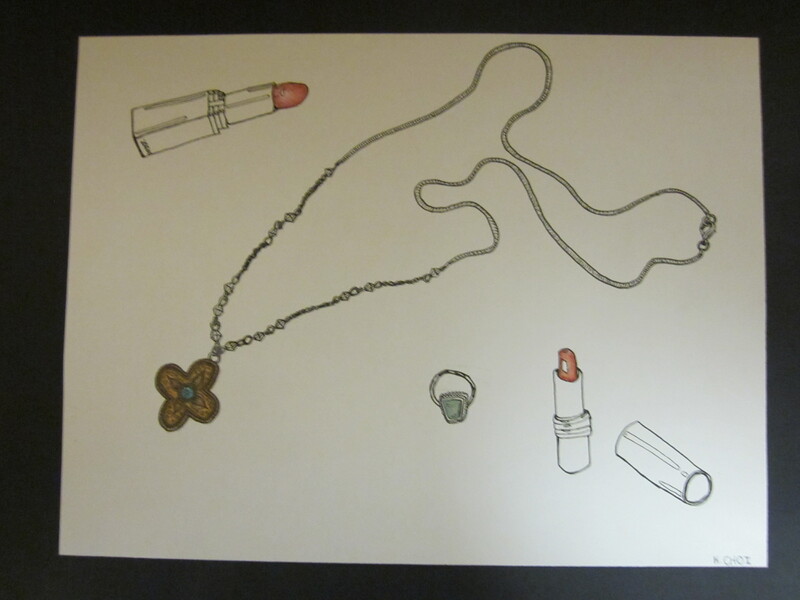 For this project you will bring in an object you would like to draw. 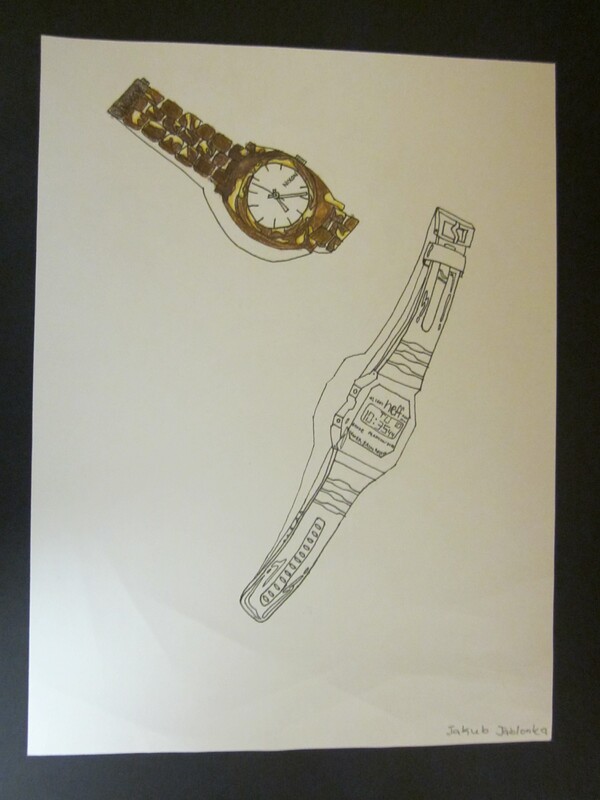 You will draw it as accurately as you can using contour line multiple times on the page. 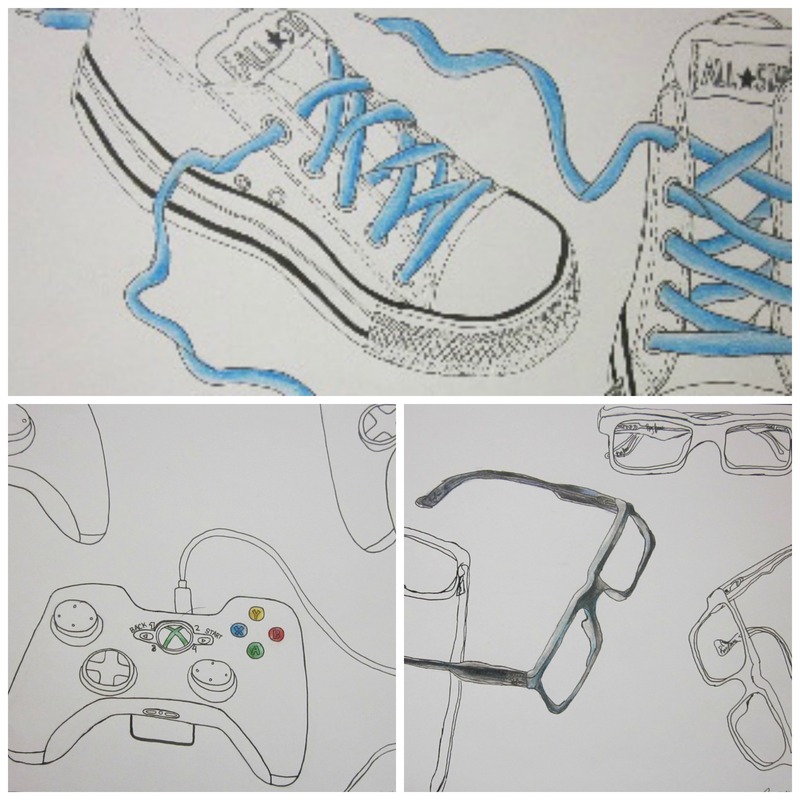 The goal is to draw only what you see; not what you think the object looks like… You will then choose one object or one part of an object to emphasize in color, shading with light, medium and dark color pencils along with a colorless blender.